What Happens When You Mix Cocaine and Alcohol? Alcohol is a sedative while cocaine is a stimulant. Mixing the two together can have very dangerous consequences. 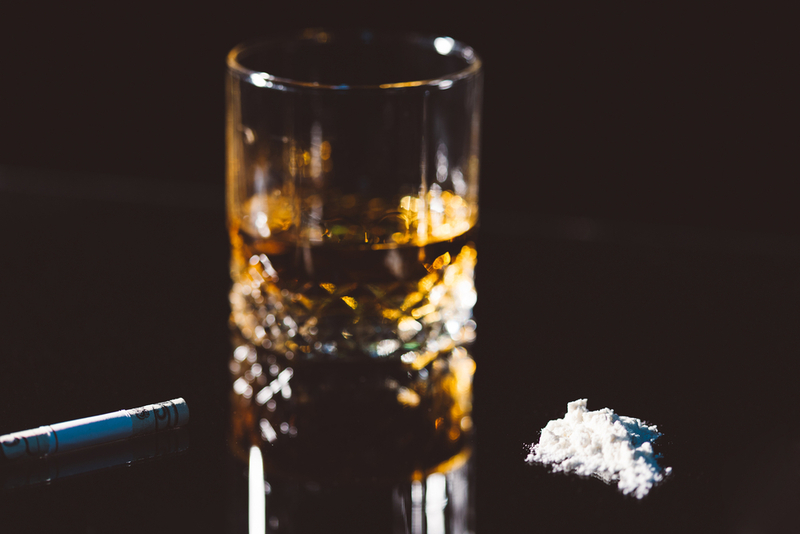 Learn more about cocaine and alcohol including why the combination of the two together can have negative repercussions. Dopamine is a neurotransmitter in the brain involved in the reward circuit associated with pleasure. Feelings of euphoria are created when dopamine is released by ingesting cocaine. Alcohol mixed with cocaine can increase the intensity and length of euphoric feelings. Some individuals report alcohol helps with negative side effects which occur as cocaine wears off and the high goes away. Some negative effects of using cocaine and alcohol concurrently can include violent behavior and thoughts. Cocaine and alcohol mixed together can have a potent, dangerous interaction. Together, in the body, a new substance is created from cocaine and alcohol called “cocaethylene” which can stay in the body up to five times longer than either substance on its own. Liver damage is possible including compromised immune system function which can result in seizures or death. Intoxication effects are also masked which can have a dangerous impact on the body. Cocaine decreases a feeling of drunkenness which can improve some of the effects of alcohol impairment. A person may, for instance, drive while under the influence without realizing how impaired functioning is which is very dangerous to oneself and others on the road. Use of both cocaine and alcohol can increase risk of alcohol poisoning. Cocaine use can result in cardiac arrest but the body may react negatively towards use of both drugs concurrently by shutting down altogether resulting in a risk of overdose or even death. One of the biggest risks is the creation of “cocaethylene” which increases the possibility of immediate death. Avoiding the use of cocaine and alcohol together is the best alternative to preventing serious consequences. The dangers and risks associated with use of both cocaine and alcohol can result from one time use or consistent use but any use of both drugs over time can result in negative consequences. To avoid the risk of overdose, it is important to understand the above risks and side effects. Weighing the benefits against the consequences may be helpful when assessing whether it is worth abusing drugs in the first place. Treatment can be helpful for people who struggle with addiction to cocaine, alcohol or both substances. The first step is to admit a problem exists and take ownership of seeking help. Recovery is possible with the right help and support. Call Hired Power today if you or a loved one struggle with addiction to cocaine, alcohol or both. We provide resources and support for the journey to recovery.